These are the first photographs from the 16th international architecture exhibition of the ‘asplund chapel’, designed by MAP studio and built by ALPI. It was conceived as a prelude to the exhibition. The structure displays Asplund’s architectural drawings for the original woodland chapel — located at skogskyrkogården cemetery in Sweden, south of Stockholm. 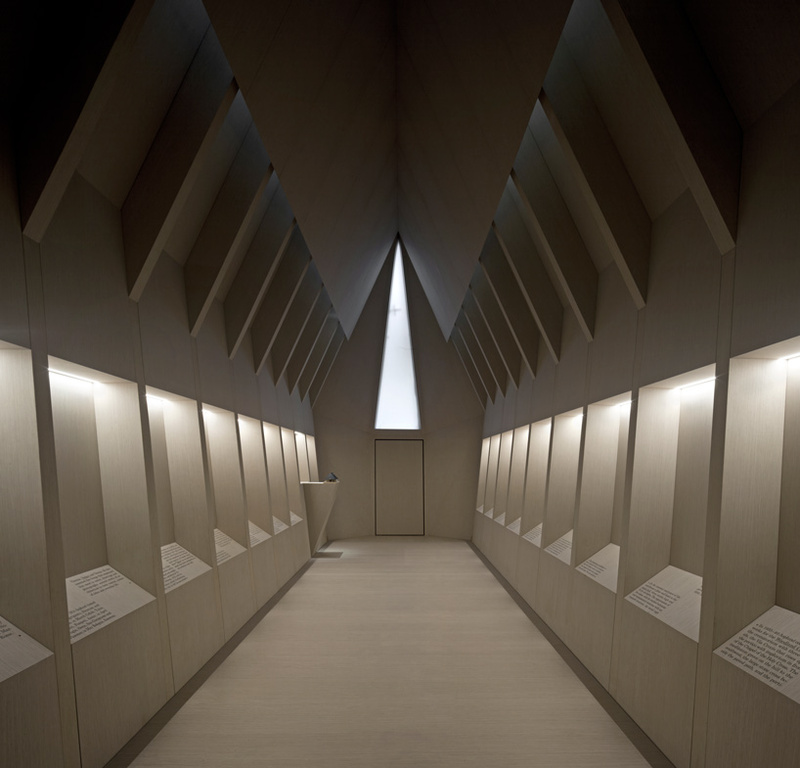 The chapel measures 33 square meters, and the pavilion refers to both the architecture of the cemetery and the appearance of cabins in natural settings. The Chapel is in a cemetery, notice all the trees around it. They are throughout the cemetery and graves as well. The chapel is 11 meters in length and 8 meters in height, and entirely covered with wood. 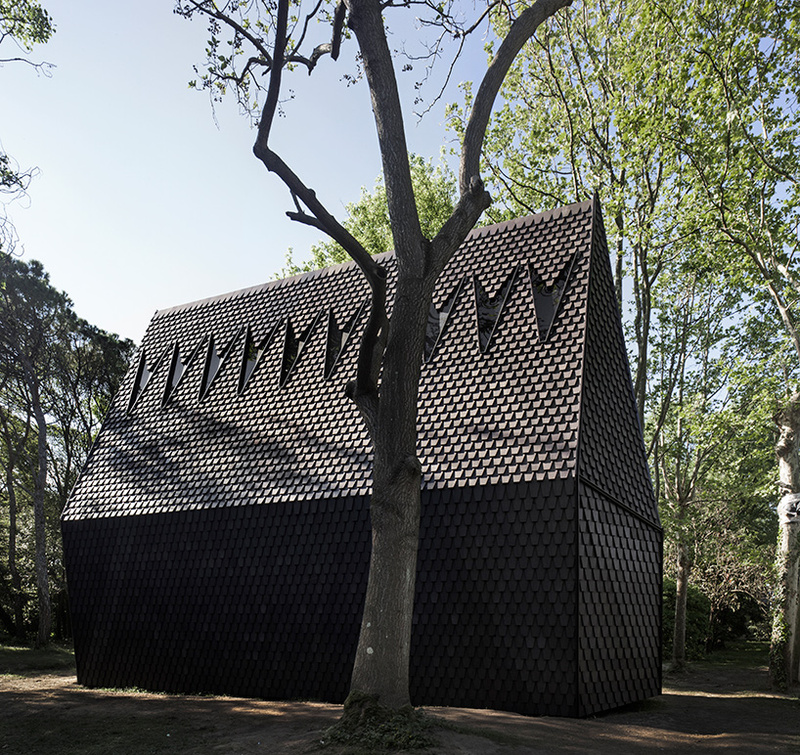 to clad the building, ALPI developed an experimental material made from more than 9,000 wooden shingles. The intimate and welcoming interior is completely covered with xylo striped white, a material developed with the help of italian architect and designer piero lissoni. the chapel’s interior is covered with a material developed by piero lissoni, an Italian architect and designer, known for his contemporary furniture design. Signor Lissoni is located in the fashion capitol of Milan.